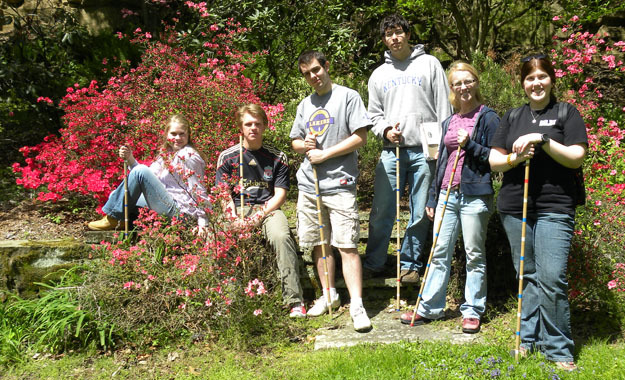 Compare these happy and warm Sed/Strat students to the freezing Petrology group in the previous post. It is all a matter of choosing the right part of April for fieldwork in Ohio. Comes with experience, I suppose. 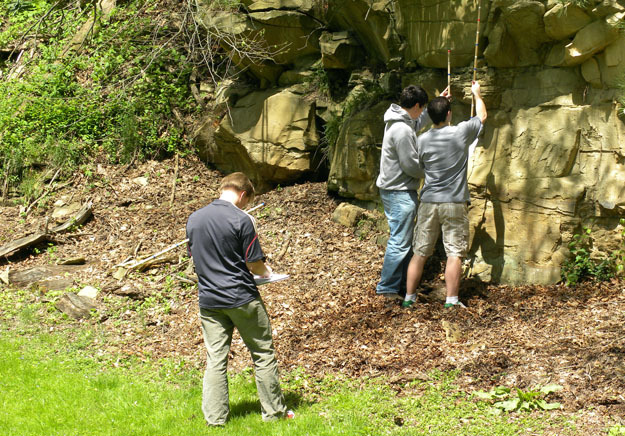 Andrew Collins, Nick Fedorchuk and Travis Louvain measuring a section of the Logan Formation (Mississippian) in the Miller Lakes area of Wooster. The striped sticks are low-budget Jacob Staffs divided into tenths of meters. 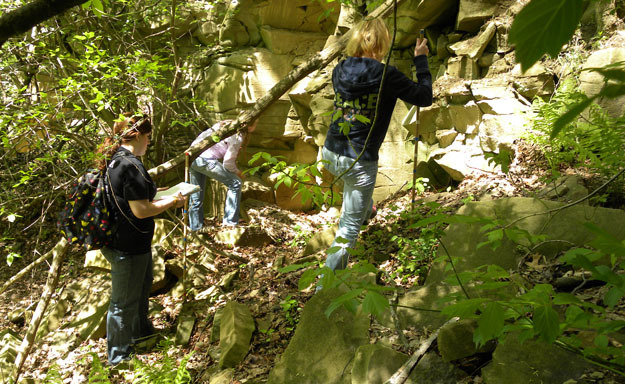 Houston Hoskins, Megan Innis and Sarah Appleton also measuring and describing the Logan Formation at Miller Lakes. This is a class exercise to learn how to construct a simple stratigraphic column. 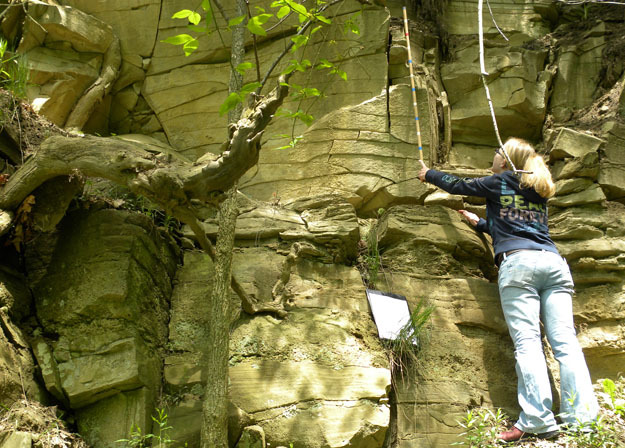 Sarah Appleton reaching high as she describes a portion of the Logan Formation with interbedded very fine sandstones and quartz-pebble conglomerates. These beds were deposited in the proximal portion of a deltaic complex with the conglomerates representing distributary channel sediments. Marine fossils such as crinoids, brachiopods and bivalves are found in both the sandstones and conglomerates. It’s so good to see you guys out in the field. Hope all is well in Wooster! Oh, that’s funny! Well played, Dr. Wilson.